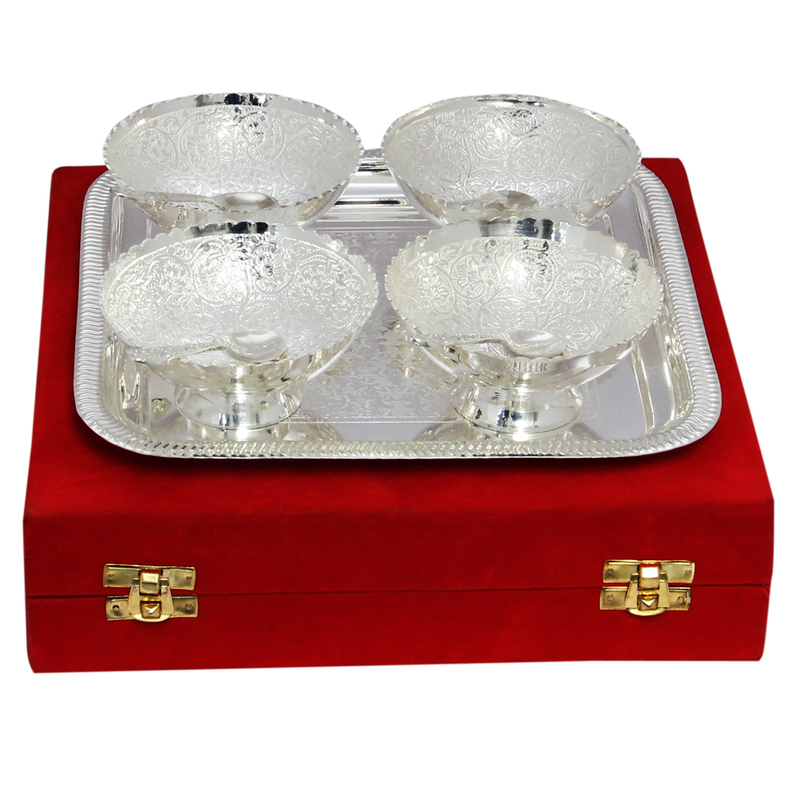 The exquisite design work present on the body of this Designer 4 Bowl Set with Spoons in German Silver is bound to impress all lovers Read More..of such aesthetically opulent items. Moreover, the beautiful bowls come with matching spoons to provide them worthy company, while a stylish serving tray allows users to carry the bowls and the spoons in a classy way. This aesthetically elegant cutlery set is ideal for households looking to impress guests with their sense of aesthetics. Show Less..